India has been changing and re-shaping itself for as long as anywhere on earth, forever producing new forms of culture and absorbing new influences. Visiting the subcontinent, you’ll see spectacular carved temples and gleaming marble palaces, lonely Himalayan lamaseries and far-flung dusty villages where council meetings are held under the shade of a banyan tree, plodding camels, holy cows, snake charmers and wild-haired sadhus: you’ll also find a dynamic state racing into the twenty-first century. The boundaries of modern India, fixed some fifty years ago, are merely the latest in a four-thousand-year sequence of redefinitions that have produced one of the most heterogeneous societies in the world. India has a rich history and the palaces, temples and great cities of its ancient cultures cannot fail to grip the imagination. In the spring particularly, the big cities come alive with concerts, plays, parties and exhibitions. Among the most spectacular hill stations (mountain resorts which make ideal destinations in summer) are Shimla (once the Imperial summer capital), Mussoorie, Ranikhet and Nainital (within reach of Delhi), and West Bengal's magnificent resort, Darjeeling, which offers a breathtaking view of the whole Kanchenjunga range. Along the fabled coasts of Malabar and Coromandel, unspoiled sandy beaches stretch for miles. Skiing is possible in the silent snowbound heights of Gulmarg and Kufri in the Himalayas. Planning a trip to India this vacation and still not sure what really you should see and do? Looking for a place that introduces you to the topmost tourist attractions of the country? Well, you have just reached there. Here, you will find all that you are looking for - a list of tourist hotspots in India. The attractions have been categorised for your convenience. Planning - A Visit to india - The Tourist Places - We offer decent India Tour Packages- These cover important places of visit in india, Historical Indian Tour Packages - Classical Tour Packages. Many of these Tour Packages feature unique Indian experiences. That you are not likely to find with anyone else. A rich history, delightful tourist attractions and a vibrant presence - that is Agra for you. Though the city has come a long way since its days as a Mughal stronghold, it still retains its old worldly feel that simply delights every visitor. Moreover, the tourist attractions in Agra are such that one simply cannot have enough of them. The very first thing that comes to the mind at the very mention of Agra is the ethereal Taj Mahal. Having inspired many singers, artists and poets till date, this exquisite creation is a heartfelt tribute to Mumtaz Mahal by her husband, Emperor Shah Jahan. Right from brochures to promotional videos, the Taj has featured in almost everything when it comes to promoting India to tourists around the world. Indeed, so overwhelming is the presence of the Taj that it is sometimes felt that the other tourist attractions in Agra pale in comparison. However, Agra boasts of many other delightful attractions that can make your trip an affair to remember. 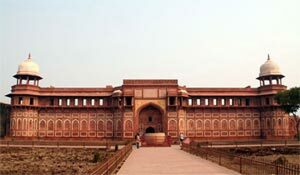 The Red Fort in Agra is one such monument that is sure to amaze you no end. Built in 1565 by Emperor Akbar, this fort houses many interesting structures and exquisite palaces that dazzle the eyes. The Jama Masjid that is one of the largest mosques in India is another monument to visit. Other Agra tourist attractions include the tomb of Itimad Ud Daulah, Chini ka Rauza, Rambagh Gardens, Dayalbagh Gardens and Buland Darwaza. You can also travel a little distance to visit the Akbar's tomb at Sikandara and the Fatehpur Sikri complex. Shopping in Agra is something not to be missed. Indeed, Agra is a shopper's paradise where you can buy everything from marble products to delicate rugs that can brighten up your living room. The next time you plan a visit to India, don't forget to travel to Agra and its tourist attractions. Just get in touch with us and allow us to take you on a joyride through time. Andhra Pradesh, India’s fifth largest state has made a very significant place for itself in the Indian Tourism Map. A large number of tourists visit this state being attracted by the large number of Tourist Attractions in Andhra Pradesh. Andhra Pradesh has a rich historical past. It dates back to the epic age. It was an integral part of Emperor Ashoka’s vast kingdom and not surprisingly an important Buddhist centre as well. It was then ruled by several dynasties and prominent among these were the Pallavas, the Chalukyas, the Kakatiyas and the Mughals. All these dynasties have played a significant role in contributing to the rich cultural heritage of the state of Andhra Pradesh. Even after the passage of so many years, their presence is still felt in the monuments that still survive after the passage of so many years. All these places are important centers of art and craft. Andhra Pradesh is truly reflective of secular spirit. People belonging to different religions co-exist in harmony in this state and that is well evident from the large number of temples, mosques and churches that one finds in Andhra Pradesh. The natural caves are also a prime attraction to the tourists. The Tourist Attractions in Andhra Pradesh are definitely well worth a visit. Regarded as the gateway to the North East, Assam is flanked by Bhutan and Arunachal Pradesh in the North and the East, respectively. With a history that can be traced back to the ancient times, Assam is a land of rolling plains and shady forests. The Brahmaputra River charts its course through this state. The tourist attractions in Assam act as a potential lure for the tourists visiting this state. Indianholidays.com is your indispensable e-guide that provides you with the requisite inputs on tourist attractions in Assam. Assam boasts of a rich and diverse flora and fauna. Seldom will you find a place that enjoys the choicest gifts of Nature ranging from the wooded hills, valleys and mountains to diverse species of plants and animals. The Kamakhya Temple is a popular tourist draw in Assam. People visiting Assam rarely miss paying a visit to this renowned Hindu shrine. Haflong is a hill station that boasts of an admirable scenic beauty. The historical city of Sibsagar is well worth a visit and features a tank that dates back to almost two centuries. The Manas National Park, counted among the popular tourist attractions in Assam has been attained the status of a World Heritage Site and is reputed tiger reserve. Any discourse on the tourist attractions in Assam is unlikely to achieve completion without the mention of the Kaziranga National Park that provides asylum to the famed one horned Rhino. Bihar - the base of the first Indian empire is steeped in history, primarily religious. It oozes with the memory of Buddhism and Jainism and most of the Tourist Attractions in Bihar are in some way or the other related to them. A visit to Nalanda, Rajgir and Bodhgaya, three important cities in the state of Bihar along with the state capital Patna will help one cover more or less all the important Tourist Attractions in Bihar. For a true blue Indian visit, make sure you do not miss out on this state. There are some spots which have a long historical association and have been well maintained to this day as for example the Pipal tree under which Lord Buddha sat and meditated before he became the enlightened one. However there are some which have surrendered to the test of times and what remains are mere relics. Even then it holds a certain amount of interest and charm to the visitors. They flock to visit these places. One of the best examples is the remnants of what was once the Nalanda University, one of the world's first residential universities. 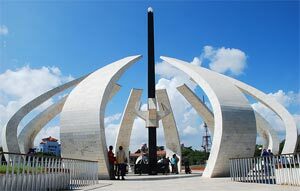 tours to bihar are not just a historians or an archaeologist's delight, also take you to the foremost Tourist Attractions in Bihar. There are numerous other places which ring with a historical note; in fact Bihar houses some of the best Museums which are excellent repertoires of rare and exquisite art and artifacts. Places of religious importance to the Hindus like the reputed Lakshmi Narayan Mandir and its hot spring also forms some of the premier Tourist Attractions in Bihar. Delhi is the proud capital city of India and is also a veritable mirror to the glorious history and rich heritage of the country. This is perfectly exemplified in the numerous forts, temples, museums and other major tourist attractions in Delhi that speak of the city’s intriguing past. Delhi is clearly segregated into Old and New Delhi, each of which boasts of being home to several attractions that are largely visited by tourists from the world over during their tours to Delhi, India. We at Indian Holiday take you on a memorable tour to the various tourist attractions in Delhi that are sure to fascinate you with their past legends and striking beauty of their architecture. Come with us to explore these tourist attractions of Delhi and take a memorable trip down memory aisle. While Old Delhi is dotted with a large number of majestic forts, striking temples and other historic buildings that are ideally reminiscent of the history of India, New Delhi presents a relatively modern picture with Government houses, embassies and other official buildings that are home to several top-level dignitaries. Some of the major attractions of Old Delhi include Purana Quila or Old Fort, Jantar Mantar observatory, Chandni Chowk, Red Fort or Lal Quila and Jama Masjid. There are equally interesting places to see in New Delhi that form an integral part of Delhi tour packages. Parliament House, Rashtrapati Bhawan, Birla Mandir, Akshardham Temple, Appu Ghar and Bahai Temple are just a few of the major attractions that are a must visit during your travel to New Delhi. Tourist attractions in Goa are globally famous. Everyone knows Goa tourist attractions are its sunny golden beaches. But beaches are not the only tourist attraction of Goa. Goa is an old city having its own traditions, culture, architecture and its share of monuments. Goa is studded with churches all over due to its past of foreign connection. There is galore of tourist attractions in Goa. There are beaches; temples, churches and villages are not to be forgotten. It is the capital of Goa and has many tourist attractions of Goa. It is situated on the banks of River Mandovi. Panaji has many renowned Churches and buildings built in Gothic style. The must see of the Panaji are the Chapel of St. Sebastian, The church devoted to our Lady of Immaculate Conception, the Goa State Museum, the Secretariat building, the statue of Abbe Faria. Old Goa is the home of many old and famous churches. Convent and Church of St. Francis of Assisi, Church of St. Cajetan, Church of St. Augustine Ruins, Church and Convent of St. Monica, Church of Our Lady of Rosary, Chapel of St. Anthony and Chapel of St. Catherine are among the those old churches. The holy Basilica of Bom Jesus is a famous pilgrimage for Roman Catholics. It is the very famous place of worship for Hindus in Goa devoted to Goddess Laxami, goddess of wealth. It is the very famous temple of Goa. Se Cathedral: Very good example of Portuguese-Gothic architecture. It is known to be the largest church in Goa. The major tourist attractions of Goa are its beaches. The Calangute, Fort Aguada beach, Vagatore beach, Anjuana beach, Baga beach, Candolim beach, Vasco Da Gama beach, Bogmalo beach, Colva beach, Dona Paula beach, Miramar beach, Majorda beach, Varca beach are the most frequently visited by the tourists and the local both. Another tourist attraction of Goa is its festive life. Evening cruises in Mandovi River with local songs, exotic Goan seafood, and the Goan festivals are the add-ons of the tourist attractions in Goa. The state of Gujarat would always continue to appeal the tourists forever with its antique palaces, renowned temples, impressive animals and birds in store in verdant green forests as well as its vivacious colorful festivities. With the plentiful tourist attractions in Gujarat, the state offers something to everyone. The 'Manchester of the East' was once governed by Ahmed Shah, who the city is named after. The city has some 15th century monuments exhibiting a fine combination of Hindu and Islamic architectural styles. The chief attraction in Ahmedabad is the Ashram of Mahatma Gandhi on the banks of the Sabarmati River, from where he started the famous 'Dandi March'. At present the ashram has the memorabilia of him in a museum. The sacred town of Dwarka at the convergence of the river Gomti and the Arabian Sea is linked with the myth of Lord Krishna. The very old town of Bhuj retraces its past in the times of Indus Valley Civilization and now serves well as the entryway to Kutch. The best-known temple of Gujarat is one of the 12 Jyotiralingas. The temple was plundered and destroyed 7 times by Muslim encroachers but reconstructed at the same spot every time. The olden capital of Sultan Mahmud Beghara lies at the foothills of the Pavagadh. Jama Masjid on Champaner is a must visit place for the tourists. It is one of the major tourist attractions in Gujarat state. Gir Forest earns it fame as the only place outside Africa to harbor Asiatic Lions along with Indian deer, sambar, chital, nilgai, Chinkara and a variety of birds. Arguably, the most popular tourist destination of India and home to some of the most popular hill stations of India, Himachal Pradesh is a province that is sure to charm all the visitors to the land. Snow clad peaks of the mighty Western Himalayas welcome you to a land which has just about everything to offer to the tourists to the land. Winding pathways lead you to lush, green valleys which seem to have come out straight from the pages of a picture book. There is no dearth of tourist attractions in Himachal Pradesh and thus a trip to Himachal Pradesh will have pleasant surprises for almost everyone. Whether it is newly weds planning their honeymoon in Himachal Pradesh or for families planning a holiday in Himachal Pradesh, the province is one of the most visited tourist destinations of India. Enveloped by as essence of natural purity, almost the entirety of the province of Himachal Pradesh provides the tourists to her land with an experience of a lifetime. The tourist attractions in Himachal Pradesh include some of the most popular hill stations of India, led by Shimla, the capital of Himachal Pradesh. Added to these are the various pilgrimage places in Himachal Pradesh, which includes some of the most revered temples of India, as well as a number of respected places of worship belonging to the other communities in India. An important part of the tourist attractions in Himachal Pradesh are the various adventure sports which the spectacular topography of Himachal Pradesh provides to the tourists to her land with. Besides these, the state is also home to some of clearest blue lakes of Himachal Pradesh as well as a number of wildlife sanctuaries of Himachal Pradesh. The culture of Himachal Pradesh also forms one of the main tourist attractions of Himachal Pradesh, with a number of the famous fairs and festivals of Himachal Pradesh drawing to the state a huge number of tourists each year. The land of majestic desert, Rajasthan, is one of the most beautiful and most frequented tourist destinations of India. Jaipur, also known as the pink city, is the capital of Rajasthan and is a favorite destination of people from India and foreign tourists. The name Jaipur spells a riot of colors, the wonderful people, the forts and palaces, the fairs and festivals, the wonderful camel rides and so on. Jaipur is about 258 km from Delhi, the capital of India and can be reached easily through air, train and roadway. The city of Jaipur is enclosed with seven gates. The major among them are Chandpol, Sanganeri, and Ajmeri. The 'pink city' label of Jaipur applies specifically to the old walled quarter of the capital, which is painted pink all over. The city is named upon its founder Maharaja Jai Singh II, who built the city with great planning. There are a lot of tourist attractions in and around Jaipur that are worth watching. Some of these places include Amer Palace, City Palace, Hawa Mahal, Jai Garh, Jantar Mantar, Nahargrh Fort, Sisodia Rani ka Bagh, Governtment Central Museum, Chawki Dhani, Albert Hall and lots more. Jaipur also serves as a great shopping destination. Handicrafts of Jaipur are famous throughout India and abroad. Other popular works of Jaipur include brass work, enamel or Minakari done on gold and silver, textiles, Sanganeri and Bagru block prints, Bandhej (tie and dye) print and lots more. You would love to pick the beautiful crafts of Jaipur as souvenir. Situated on a hillock, beside the River Tawi, Jammu is the crown of India. As a melting pot for various cultures, Jammu and Kashmir is also a hot tourist’s attraction for Indians and Foreigners alike. People visit this Heaven on Earth as Pilgrim tour, Archeological Excursion and also Nature Lover. A happy combination of crystalline lakes, bold mountains and meandering valleys, Jammu is also a home to various temples and Mosques that are held in high esteem by the archeologists and pilgrims alike. Foreign invasion and their historical remnants are indicative of the rich cultural influences that Jammu and Kashmir had been subject to. The main places of tourist attraction in Jammu and Kashmir are divided into the following; Religious Places, Historical Places and Monuments, Places Blessed with Scenic Beauty. Vaishno Devi Temple with Mother Goddess Vaishno Devi is the principle attraction for the pilgrims. Supposed to be endowed with supernatural powers this Goddess relieves pains and pangs of different sorts like infertility, forthcoming accident, joblessness, antagonism with husband and in-laws, marriage problems, physical disorders and numerous others. The mother goddess relieves her children from all their sorrows and anxiety and blesses them with a new lease of life. Raghunath Temple dedicated to Lord Ram, is replete with various images of deities that bedecks the temple to a large extent. Gadhadharji Temple is a welcome experience for the Vaishnavaite, where the life sized image of Lord Vishnu and Goddess Lakshmi blesses the devotees. Ranabireshwar Temple constructed by the erstwhile Dogra Rulers is dedicated to Lord Shiva. Here the large Shiva Lingam has been brought from Narmada Valley. Panchbakhter Temple is a paradise for the Shaivites. Purmandal located 40 kilometers from Jammu city is located on the banks of River Devika holds festivals like Shivaratri and Chaitra Chaudashi. Nagbani is another place of attraction, erstwhile Nag raja Temple that has been converted to Agricultural School Collegiate School. Gurudwara Sh Guru Nanak Devji consists of Guru Nanak’s gigantic statue, composed of white marble. Samadhi Maharani Chand Kour had been the wife of Maharaja Ranjit Singh and sat in throne after his death. It is her grave that draws numerous tourists here. Chichi Mata heralds your visit to Vaishno Devi Temple. Surinsar and Mansar Lake consisting of small islands in their middle is of primary importance for the tourists. Boating tours are arranged on request here. Jhajjar Kotli is an attractive place for picnic with family, consisting of café, canyon and centers of recreation hemmed with trees and lakes. Bagh e Bahu located near a hillock near Tawi River, garlanded with artificial lakes, flower beds and fountains is a perfect haven for nature lovers. A land known for its silks, spices and sandalwood, Karnataka adds up as an experience to remember for a lifetime. Indeed, the tourist attractions in Karnataka are so varied that people flock this state from all over the world. Another attraction of Karnataka is its glorious history. In fact, it is common to see tourists greedily devouring every bit of information available on the history of Karnataka. The tourist attractions in Karnataka are such that you will be tempted to visit and explore each and every one of them. Right from the Vidhan Soudha in Bangalore to the Bandipur National Park, the Karnataka tourist attractions are sure to delight you no end. Add to it many beautiful temples, historical sites and art galleries that are no less interesting to explore. A travel to Karnataka in India will surely throw up many magical moments for you to cherish for life. Indian Holiday has some very interesting tour packages for you to choose from as you plan a travel to Karnataka, India. So get in touch with us today and brace yourself for one of the most exciting vacations of your life. Kerala, in southwestern India is a very popular tourist destination. Tourists from all over the world travel to Kerala to enjoy an Indian holiday on the beaches, backwaters and hills of Kerala. Traveler's come to see Kerala's wildlife sanctuaries, historic cities and temples. Stressed out urban dwellers rejuvenate themselves at the ayurveda spas and resorts in Kerala. On their Indian Holiday they discover why Kerala is truly "God's own country." Thiruvananthapuram: The capital of Kerala, was earlier called Trivandrum and is known for its mild climate. The Sri Ananthapadmanabhaswamy temple, the Sri Chitra Art gallery, palaces of the family of the Maharajas of Travancore, museums and the beautiful Kovalam beach not far away, make Trivandrum a pleasant Indian holiday destination. Kochi: Known as the "Queen of the Arabian Sea" Kochi (Cochin) is a busy port city, which is known for the Chinese fishing nets in its harbor, the Jewish synagogue, St Francis Church, the Dutch Palace at Matancherry, Fort Cochin and the Santa Cruz Basilica. Cochin harbor is also an attractive sight with ships, people and tourists coming together to ensure there's never a dull moment. Kovalam Beach: Rated among the best beaches in the world, Kovalam beach is situated 18 km from Thiruvananthapuram. You can enjoy sunbathing on the sandy beach, or swimming in the Arabian Sea. There are also facilities for water sports such as surfing, jet skiing, water skiing and catamaran rides. Backwaters: The backwaters of Kerala, are calm palm-fringed waterways that connect villages along the coast, particularly around Allapuzha. You can enjoy a cruise on a traditional houseboat or Kettuvallom into a serene world of quiet water and greenery interrupted only by the sound of rippling water and birdcalls. Alappuzha: Some of the most scenic Kerala backwaters are to be seen near this town of the coast of Kerala, India. Allapuzha is the venue for the annual snake boat races held during the Onam festival, where teams compete for the Nehru Gold Cup. The event is a popular tourist attraction where crowds gather to cheer their favorite teams. Kumarakom: This group of islands in Vembanad Lake is an out of this world destination. The beauty of the swaying palm trees, green paddy fields, waterways and the sound of birdsong from the nearby bird sanctuary makes an Indian Holiday at Kumarakom, truly unforgettable. Kairali Ayurvedic Health Resorts: Ayurveda, which has been practiced in India for centuries, as a traditional system of healing and rejuvenation, is now known worldwide. Tourists come to Kerala from across the world to experience the benefits of ayurvedic massage therapy, which involves treating the body with oils made from medicinal herbs. Pristine aquamarine expanse, vivacious colors, golden sand, virgin coral reefs makes Lakshadweep a hot Tourist Attraction. Lakshadweep Islands consists of a group of extremely small islets; some are inhabited while others are not. The main source of livelihood of the inhabitants of these islands is fishing and coral fishes that are available here fetch high value in markets. Scuba Diving :- In this water-sport you can see the underwater life that attracts you with their natural charm and charisma. Deep Sea Big Game Sports Fishing :- In this sport deep water sea fishing can be done, and is best visited from October to May. Boat Trip within Lagoon :- This is perhaps the most exciting excursion that involves glass-bottom boats from where you can see the exotic marine life. It is also used for snorkeling. Tourists Attraction in Lakshadweep consists of numerous scenic beauty observable in the islets. There are numerous islands of which Bangaram is uninhabited and Kavarattim is the administrative capital. Minicoy consists of one of the largest lagoons in the archipelago, Agatti has beautiful lagoons and the airport is located here. Viewed from above the islands looks like emeralds glittering with the sparkling sun. Madhya Pradesh is a store house for every tourist. Various geographical features give rise to different topographies which lead to formation of various tourist places. The state is laden with a wide range of tourist attractions starting from historic places to wild life sanctuaries. Madhya Pradesh is the state of diversity and culture. The true essence of the place can be seen in the walls of the monuments in the sculpture of the temples and in the ambience of the national park. Located to the north of the Indian peninsular, Maharashtra is bordered by the Arabian Sea in the west and the state of Gujarat in the north. Maharashtra is a melting pot of various culture, traditions and festivals and attracts a large number of tourists from across the world. There are a number of tourist attractions in Maharashtra that act as veritable lures for the tourists visiting the state. Indianholiday.com provides you with all the requisite inputs on some of the major tourist attractions in Maharashtra. The Ajanta and the Ellora Caves feature prominently among the tourist attractions in Maharashtra. Enjoying the status of a World Heritage Site, there are a cluster of 34 caves among which 12 are Buddhist, 17 Hindu and 5 Jain. Your tour to Maharashtra is incomplete without a visit to Mumbai. Home to Bollywood film industry, Mumbai is touted as the city of dreams. Aurangabad might be your next stop over. Renowned for its grand medieval monuments, Aurangabad also enjoys the distinction of a World Heritage Site. The city boasts of a rich cultural heritage. The Daulatabad Fort also features among one of the major tourist attractions in Maharashtra. This imposing fort is situated at a place where Mohammad Bin Tughlak had built his capital. Overlooking the Krishna and the Koyna Valleys, Mahabaleshwar is a picturesque hill station that takes pride in its unsullied natural beauty. Air :- Maharashtra has one international and one domestic airport and almost all the major airlines like have flights that operate regularly to and fro from Mumbai, the capital city. Road :- Maharashtra has extremely developed network of roads. The state is served by a good number of National Highways and State Highways which makes it easy to access Maharashtra from almost any part of the country. Tourist attractions in Mumbai are worth visiting. Mumbai, city of dreams for many and city of realistic effects for others, Bombay as it was recently called, is the blend of dreams, emotions, traditions, approaches, attitudes, results and many other adjectives attached to it. It is the financial capital of India on one hand, celluloid capital of India on other hand selling dreams to millions. Mumbai is a unique city of India, which is always on move and never sleeps. Every Indian has a secret desire to visit Mumbai at least once. There are many popular tourist attractions in Mumbai viz., historical monuments, beautiful beaches and many places of worship worth visiting. Mumbai represents a mix traditional Maharashtrian culture and ultra modern values of the Western world. One of the most popular tourist attractions in Mumbai is Gateway of India, which is regarded as the face of the city to its visitors. Historically it is important as last British troop left Independent India by sea, marched through its portals. Another destination to visit is Prince of Wales Museum having collection of rare sculpture, art pieces, coins etc. Places of worship include Mahalaxami temple devoted to Indian goddess of wealth, Mahalaxami, Siddhivinayak Temple devoted to Lord Ganesha and Hajji Ali Mosque. For the people who want to relish the sea beauty, Juhu beach and Marine drive which is also called Chowpatty beach are perfect for spending evenings. Beside it there are Kamala Nehru Park and Hanging Gardens where you can enjoy with your friends and relatives. Essel world is the very amusement park, which has number of exciting rides and games for all. Apart from this Bombay Stock Exchange is also one of the tourist attractions in Mumbai for those who want to have glimpses of the building where economy of the country is portrayed every second. Bollywood - The Film City needs no introduction; tourists do not want to miss this attraction in Mumbai, which has made Mumbai world famous. Orissa is held in high esteem for its beautiful rivers, beaches, temples, lakes, rivers, waterfalls and wildlife sanctuaries. The colorful fairs and festivals of this place are also a huge hit with the tourists. With so much to offer, it is pretty natural to find the Tourist Attractions in Orissa remain choc-a-block round the year. You can enjoy innumerable things on your Tour to Orissa. If lakes, rivers, beaches and waterfalls interest you, Orissa is the perfect destination. Brahmani and Mahanadi River, Chilka Lake, Konark Beach, Bagra Waterfall, Puri Beach, Duduma Waterfall and Hathipathar Waterfalls are only some of the names from a somewhat endless list. So, you may have your pick from these Orissa Tourist Attractions and enjoy the scenic beauty of this place. In fact, Lakes and Rivers in Orissa as well as the Beaches and Waterfalls in Orissa are popular spots for the tourists. You may also set a date with the Monuments in Orissa that would enthrall you for sure. Pathani Samanta Planetarium, Udaigiri and Khandgiri Caves, Barabati Fort and Nine Planets' Shrine are some famous sites in this category. The Museums in Orissa also feature high on the tour itinerary of many travelers. Amongst the Tourist Attractions in Orissa, India, Holy Places in Orissa offer a good option of pilgrimage to the devotees. Even general tourists flock to these holy places of the state to enjoy a matchless experience. Lingaraj Mandir, Raja Rani Mandir, Brahmeswar Mandir, Mukteswar, Siddheswar & Kedargauri Temples in Bhubaneshwar, Jagannath Mandir and Gundicha Mandir in Puri, Sun Temple of Konark are some of the famous names from the catalog of Orissa's holy places. The tourist attractions in Rajasthan are characterized by a charming mix color and an exotic aura that can dazzle any onlooker. No wonder, a travel to Rajasthan is on the agenda of every second traveler you will come across in India. Indeed, this is the magic of Rajasthan that draws hordes of visitors with its unconventional beauty and vibrant presence. When it comes to listing the tourist attractions in Rajasthan, it can sometimes add up as a tough task. Indeed, the list is so long that it is almost impossible to include them all in a short tour. However, it can safely be said that the tourist attractions in Rajasthan are truly an extension of its people and the very culture of the state. Right from historical forts and palaces in cities like Jaipur, Chittorgarh, Udaipur and Jodhpur to the beautiful temples of Mount Abu, Rajasthan indeed teems with tourist attractions of varied types. You can also add to it some important wildlife reserves like Ranthambore, Keoladeo Bird Sanctuary and Sariska. The desert that is so important a part of Rajasthan also figures among the main tourist attractions of the state. In fact, many who travel to Rajasthan India are keen to try out desert safaris that may be a little strenuous but nevertheless help understand the beauty of the Thar Desert and its inherent romantic appeal in a never before manner. Rajasthan, India is indeed a kaleidoscopic mix of attractions that simply awe and delight at the same time. Do take out time to visit this fascinating state that is indeed an experience you must live at least once in a lifetime. Punjab is a land where there is history, natural beauty, religion and well-known hospitality combined into one. The famous Golden Temple is often referred to as the symbol of the state. History still has its well-built impression in the tourist attractions in Punjab and Religion adds another level of charm to them. A long drive along the smooth roadways offers the tourists vistas of green stretches of mustard fields. The mustard flowers in full bloom offers another breathtaking view. 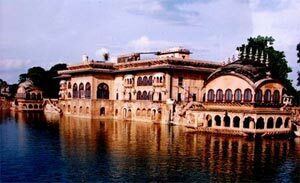 Punjab is said to have derived its name from the 5 rivers which flow through this region. The Indus, the Sutlej, the Beas, the Ravi and the Ghaggar which provide water to this state make it a part of the northern fertile plain. Preceding the Persian period this region was known by different names at different times. Probably, at the height of its glory it was known as Sapta Sindhu, land of the 7 rivers, namely Sindhu (Indus), Vitasta (Jhelum), Asuhi (Chenab), Purshin (Ravi), Vipasa (Beas), Satadru (Sutlej) and Saruri (Saraswati). The Saraswati is a dried up stream at present and its traces are found in the present seasonal streams that flow near Pehowa in Haryana. During Greek occupancy, the territory had contracted into the area covering the five rivers. Sikkim, one of the most esteemed tourist attractions in India and the world, appeals travelers in millions. Tourist attractions in Sikkim are too good to resist for the travelers. Sikkim is a small stretch of land sandwiched between the Kingdom of Nepal in the West and the Kingdom of Bhutan in the East. Kanchendzonga, the third highest mountain peak in the world in one of the major tourist attractions in Sikkim. Sikkim is blessed with one of the best natural scenic beauty. Tourists are often spellbound by the majestic view of the snowcapped mountains, lakes, wild animals, Monastery, and many more tourist attractions. Here is a bird eye view of the major tourist attractions in Sikkim. Monastery: Sikkim has over 194 age old Monasteries of great spiritual and historical importance. Some of the major Monasteries are Rumtek, Pemyangtse, Pemayangtse, Sangacholing, Dubdi, Tashiding, Phensong, Phodong and many more. Mountains: Sikkim has a picturesque mountain treasure. Singalila on the West and Chola on the east are the major mountain ranges in Sikkim. Sikkim gives a panaromic view of the Mt. Kanchendzonga. Glaciers: The most picturesque glaciers are: Zemu Glacier(the largest glacier of eastern Himalayas), Rathong Glacier and Lonak Glacier in North Sikkim. Several Icefalls and waterfalls have formed at the junction of the Zemu glacier with tributary glaciers which allure the tourists. Passes: The mountain ranges are interspersed with passes, which are of prime attraction for tourists looking for some fun and adventure. The most important passes are the Nathu La and Jelep La, Chiwabhangjang, Kang La, Kongra La. Wild life: Sikkim has an unbelievable array of flora and unusual fauna, untouched forests, peculiar to the Himalayan environment with major highlights like the Himalayan black bear, brown bear, panda, numerous species of deer, including musk deer, yaks, wild goats, sheep including Bharal or blue sheep, goral, Tibetan antelope, tiger and leopard. The Red Panda, an endangered animal is the symbol of Sikkim. Sikkim is home to the elusive Snow Leopard and the rare Clouded Leopard. Other Major Attractions: Namchi, Tendong Hill, Temi Tea Garden, Ravangla, 'Shar Chok Bephu' cave, Menam Hill, Borong, Versey, Do-Drul Chorten (Stupa), Saramsa Garden, Rumtek Dharma Chakra Centre, Water Garden, Tsomgo Lake, Tashi View Point, Hanuman Tok temple, Ganesh Tok temple, Sa-Ngor-Chotshog Centre, Fambong La Wildlife Sanctuary, Kabi Lungchok, Rabdentse Ruins and many more. Located at the southern tip of India, Tamil Nadu is an enchanting place that is sure to leave you spell bound with its magnificent architecture, rich culture and exotic places. Be it the beautiful beaches, majestic temples or magnificent rock cut architecture, you will find everything in Tamil Nadu to mesmerize you and make you travel a memorable one. Capital city Chennai, commercial town of Tiruchirapalli, temple city Rameshawaram, wildlife sanctuaries, various events and festivals etc. are some of the major tourist attractions in Tamil Nadu. Indian Holiday offers to give you online information on tourist attractions in Tamil Nadu, India . Blessed by nature and nestled beautifully in the Indian Peninsula between the Bay of Bengal and the Indian Ocean, Tamil Nadu has a lot to offers to tourists. A perfect blend of rich traditional culture and cosmopolitan lifestyle, Chennai is a major tourist attraction in Tamil Nadu and a place to be. Marina Beach with its silver sands is a perfect place to stroll around and get the tranquil feel. Besides, the famous St. George and St. Mary’s church are some of the other famous places to see in Chennai. Famous for its majestic temples, Tamil Nadu provides you with a glimpse of the rich architectural genius of the bygone era through these temples. Tanjore, Kanyakumari, Rameshwaram, Madurai, Kanchipuram etc. are some of the places in Tamil Nadu known for their temples. Besides, Marina Beach with its golden sands, Ooty the famous hill station famous for its mist clad Nilgiris etc. are some of the other Tamil Nadu tourist attractions which you must visit on your Tamil Nadu tour. Uttaranchal, the 27th state of India, is a land blessed with celestial beauty and the grace of Gods. Often referred as the “Land of Gods”, Uttaranchal is replete with numerous tourist and pilgrimage destinations. The state abounds in tourism opportunities, and the Tourist Attractions in Uttaranchal encompass everything from snow-clad mountains and gigantic peaks, through scenic locales and untamed wildlife, to sacred pilgrim destinations. Nestled at the foothills of the mighty Himalayas in the northern part of India, Uttaranchal is the perfect holiday destination for tourists seeking a place to relax and rejuvenate both body and mind, in the lap of nature. The major tourist attractions in Uttaranchal include pilgrim destinations like Haridwar, Kedarnath, Badrinath, Yamunotri, Gangotri and Rishikesh; idyllic hill stations like Dehradun, Mussoorie, Almora, Nainital, Ranikhet, and Pithoragarh; and wildlife sanctuaries like the Jim Corbett National Park. While on tour to Uttaranchal, every step you take will acquaint you with the state’s rich and diverse flora and fauna. Tourist attractions in Uttaranchal also comprise several glaciers, passes, meadows, and trekking routes, with a number of important rivers like the Ganga and Yamuna, originating from the region. A major part of the state is abundant in rainforests and alpine forests which are home to some rare and endangered wildlife species. Wildlife enthusiasts can visit the Jim Corbett National Park, Rajaji National Park, Nanda Devi National Park, and Govind National Park among various other tourist attractions in Uttaranchal. A visit to Uttaranchal will essentially feature numerous pilgrim centers like Gangotri, Yamunotri, Kedarnath and Badrinath – constituting the ‘Char Dhams’ or the four most sacred and revered sites of the Hindus. Taj Mahal - India's glory and pride and one of the Seven Wonders of the World lies in the state of Uttar Pradesh. There can be little debate on which is the foremost of all the Tourist Attractions in Uttar Pradesh. Taj Mahal is and will always be. A large number of visitors not only from different parts of the country but also from different quarters of the world flock to Agra in Uttar Pradesh to get a glimpse of this magnificent structure in white. Though the best known of all the Tourist Attractions in Uttar Pradesh, it is not the only one. There are several other interesting places, some historically important, others religiously and all of them are well worth a visit when on a tour to Uttar Pradesh. Undertake sight seeing tours of the different cities in Uttar Pradesh to visit the various Tourist Attractions of that particular city. The sprawling Fatehpur Sikhri, the imposing Agra Fort, both in Agra, the Durga temple, Vishwanath temple, Sankat Mochan temple, Tulsi Manas temple, the Bharat Mata temple and the Ganga Ghats, all in Varanasi, constitute some of the most important Tourist Attractions in Uttar Pradesh. UP abounds in temples, but there are many important places in UP which have a long drawn association with Buddhism as well like Kushinagar, Lumbini and Kapilavastu. These attract not just Buddhist pilgrims but tourists as well, particularly those who love visiting places steeped in history. If you are interested in detailed online information on the different Tourist Attractions in Uttar Pradesh, browse through the following links, each of which provides comprehensive online information on the Tourist Attractions in that particular city of Uttar Pradesh. Madhya Pradesh is a store house for every tourist. Various geographical features give rise to different topographies which lead to formation of various tourist places. The state is laden with a wide range of tourist attractions starting from historic places to wild life sanctuaries. Madhya Pradesh is the state of diversity and culture. The true essence of the place can be seen in the walls of the monuments in the sculpture of the temples and in the ambience of the national park. Tourist Attractions in Madhya Pradesh is manifold and will give you the detailed history of the place. West Bengal is known for its rich culture and heritage all over India. West Bengal was once upon a time a favourite place for the British since it offers a lot of tourist attractions. There are numerous tourist attractions in West Bengal and hence it attracts a lot of tourists from all over the word to pay a visit to this lovely place. The capital city as well as the cultural capital of India, is the treasure trove of a lot of interesting places that will include the Victoria Memorial, Indian Museum, Birla Planetarium and lots more! Tourist attractions in West Bengal are gifted with various kinds of geographical distinctions that include the mountain ranges in the north to the maritime climate to the south. Tourist attractions in West Bengal includes Darjeeling in the northern part which is famous as a hill station and offers the scenic beauty to the travelers from the various parts of the state and country as a whole. West Bengal's chief attractions are the Dutch, French, English and Portuguese styled buildings and historic monuments. The land speaks about the golden era of trade and commerce, a rich culture and a land torn by betrayal, partition, poverty and famine. Amongst the other tourist attractions in West Bengal, the historical remains of Malda, buildings during the British era and monuments of Kolkata, the Nawab's city Murshidabad, or Rabindranath Tagore's Shanti Niketan gives the depiction of the wonderful past of the state. The other tourist attraction takes the tourist to the southern parts of West Bengal into the Sunder ban Delta where there is a vast range of beautiful flora and fauna. If one is fortunate enough then he may also catch a glimpse of the Royal Bengal Tiger. Tourist attractions in West Bengal are known for their utmost delight and a separate sense of pleasure that is unseen in the other tourist attractions of India. The Victoria Memorial, Indian Museum, Howrah Bridge in Kolkata, Hazariduar in Murshidabad are some of the most visited sites in the state.